The PBE has been updated! 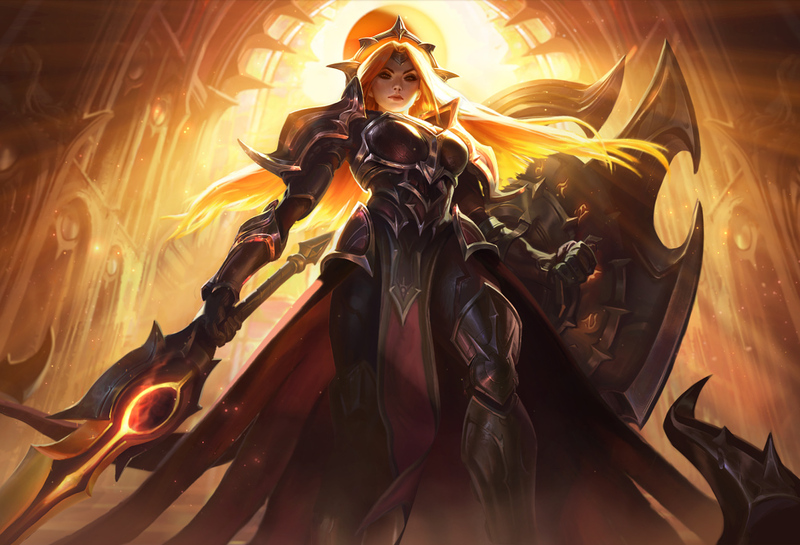 As we continue the 8.23 PBE cycle, today's patch includes a new login themed around Eclipse Leona & tentative balance changes! A new login featuring Solar/Lunar Eclipse Leona is now on the PBE! We've currently got some work underway to improve the run animation of some of our older champions. We're targeting champs who either aren't in need of a full VGU or aren't likely to get one in the immediate future. Walk/Run anims are being focused on here since they're played more than any other animations, so you generally get the largest improvement in overall feel for a single animation upgrade. With the new anims we're looking to further convey the personality and character of a champion. We're also prioritizing keeping the essence of what's iconic though and looking to build on it, make sure people playing these champs still relate to movements they know and love. In some cases we'll also be using both new and old animations in different contexts (e.g. old anim as regular run new as haste run, new anim while a specific ability is active, new anim as pre boots run etc). Compilation of the proposed new runs done so far below. We're still working on these, so it's an ideal time for feedback, whether here, on Twitter, the various LoL art forums or wherever. Still a little while off shipping them, will likely get them onto the PBE for an extended period soon though so you can also get hands on experience with them if desired. Ranked is very much a system we're still working on. We've made a range of changes since we first started talking about this stuff in April and we think we're in a good spot to get the system onto the live servers. We're going to keep iterating on it further though. Feedback on what's working for you and what's not still extremely appreciated as a result, that will help us improve it further. When we do larger systemic changes like those in preseasons we see some champs who previously needed balance work end up in a pretty balanced state and others who were previously ok needing changes. As a result we'll be holding off on almost all balance work until we've seen where 8.23 puts champ power levels, then reacting to the new state of things. 8.23 will be a light patch balance wise as a result."